ANZAL uses state-of-the-art coating and finishing technologies to design premium ceiling tile, cabinetry paneling and shelving products for the building markets. ANZAL is a specialist in innovative, leading-edge coating and finishing technologies. Our team is known for forward-thinking, outstanding technical know-how, and coating systems superior in both finish and performance. We are the marketing arm of Bates Surface Solutions, one of New Zealand’s oldest and most experienced Kiwi-owned and operated surface coating specialists. Bates Surface Solutions' 100% UV-cured coatings provides environmentally-friendly prefinished building panels to the building sector. UV-cured paint technology is used across the entire ANZAL range of products – from ceiling tiles to cabinetry and shelving products – using a curing process that creates products with a finish of the highest quality and durability. Those properties make our products, amongst other things, the strongest, safest and most easy-to-clean, as well as being eco-friendly and simple to install. 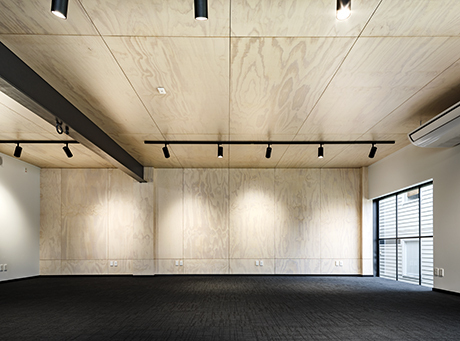 Our products are used in building projects across New Zealand - in commercial kitchens, food preparation areas, restaurants, hospitals, cabinetry and store shelf fit-outs. We provide the building industry with pre-finished products and a service that allows our customers to have customised products coated to their specifications. If you’re an architect, designer, project manager or builder, Contact Us to get in touch with our Distributor network or call our customer service specialists on 0800 ANZAL1 (0800 269 251). Together we can tailor a solution to suit your unique needs. To see ANZAL products and services in action, check out our library of Case Studies. “We chose the Fenta Ceiling Tile in the food prep areas of Hollywood Bakery because it is glossy and reflective... it needed to be easy to clean, as we require the highest level of hygiene in our food preparation areas."